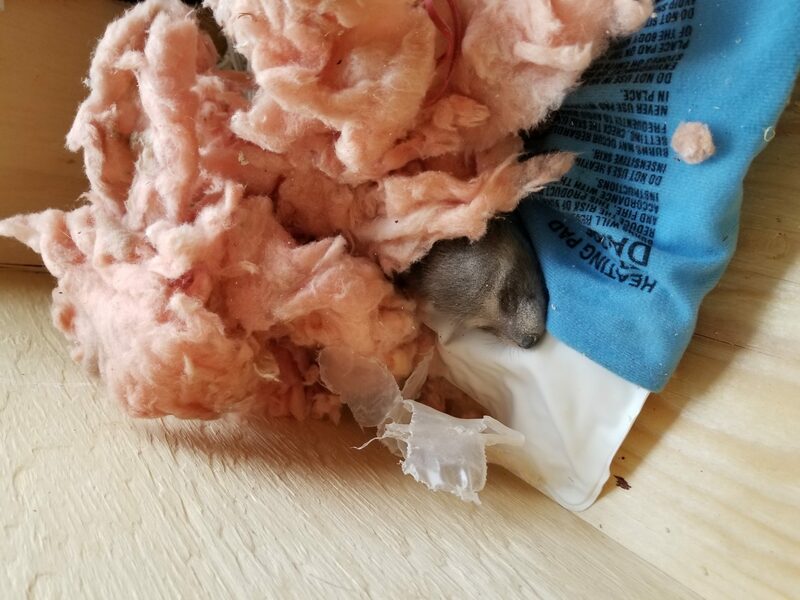 Your Own Raccoon Inspection In The Attic - SIA Wildlife Control Inc. So you’re here because you have a critter in the attic. You hear noises but you’re still uncertain which pest is keeping you up at night. You’ve come to the right place to figure out what affects your home. You may refer to our post regarding sound identification for more information about raccoons, squirrels and mice etc. So sound hasn’t exactly helped you figure out which sort of critter is in the attic, or you’ve already covered the attic. Below is a simple diagram that can help you look for the right spots when trying to find raccoon entry points. Keep in mind that from all the wildlife we face here in Ontario, only raccoons have the necessary strength to mangle aluminum (soffit). If you spot any of the points mentioned below that look a hole the size of a football or have been mangled, you can be certain that a raccoon was involved. Squirrels would leave tennis ball sized holes in the areas that they have chewed and entered. But we’ll leave squirrel damage for another time. Raccoons damage all sorts of places to get into an attic. Our diagram shows pretty much every way that a raccoon would enter your attic. There are still other ways which require on the roof inspection, but they are more rare in nature. An example is a piece of crucial home attachment which new homes in construction occasionally turn out missing. Often times these leave significant gaps in the frame of the home which lead right into the attic. But let’s take our focus back to the other +90% of the time. 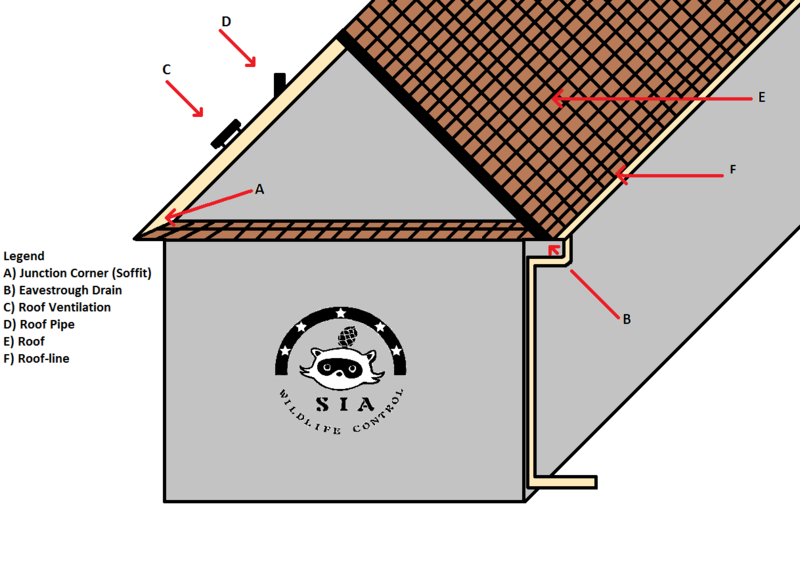 Chimneys are not included in this diagram as they are technically separate from the attic. Have a look at the diagram for the areas you should be looking for. These areas are categorized in order from most probable to least probable entry points when a raccoon targets your home. 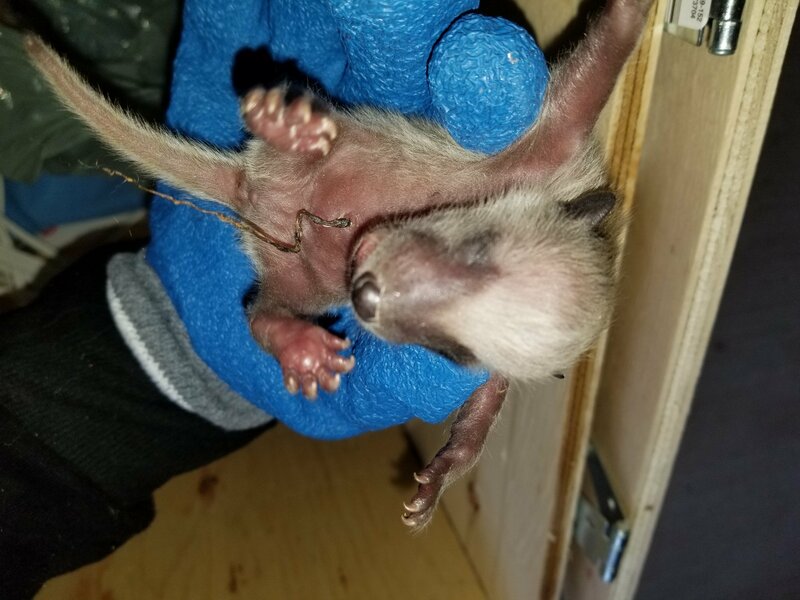 All data is specific to SIA Wildlife Control experience in the removal of raccoons from the attic. The junction where the soffit meets the roof / shingles. This area is notorious for being targeted by raccoons. We find that this would probably fit in the number one area which is damaged whenever we arrived at a troubled home. Soffits are weak by design. 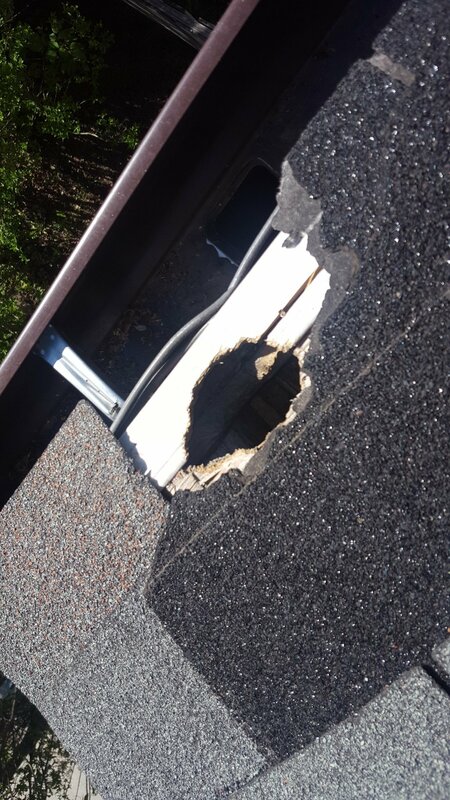 Raccoons squat under the junction area and push up to break and dislocate the soffit. This is one of the easiest areas that raccoons can access and one of the most recommended to reinforce when we arrive to a clients home. The drain is very climbable, as most other objects attached to the home including brick sidings. Many clients ask if cutting their trees down or trimming them help.. The truth is, a raccoon will find a way up again if it wants to. The drain angles when it reaches the gutter near the roof-line. Unfortunately this acts as a solid surface where the raccoon can sit and push up against the soffit which runs along the perimeter of the home. This is the second most observed entry point of raccoons. Roof vents fall in line as number 3. These are either plastic, or aluminum. None of which are raccoon proof entirely. You can spot them in almost any roof as cubic attachments. Their function is to coexist with the soffits as breathers for the attic. Being sensitive to heat, raccoons will play with these vents until they figure out how to pop open the caps. After that it is pretty easy to maw and chew at the interior plastic and gain entry into the attic. More often than not, a vent cap will come loose and fall to the ground. Don’t ignore this sign, because nothing short of a tornado can do this damage in Toronto. Squirrels are the top candidate for roof pipe entries. Roof pipes are related to the septic system of the home and they usually belong to the number of bathrooms in the home. During construction, A hole is cut in the plywood under which the pipe is passed through. The cuts are cubic and always bigger than the pipe itself. To remedy this, a plastic covering is passed through the pipe and fitted to seal on the roof. Squirrels chew this plastic and enter the attic. Which later on becomes a raccoon problem as it is enlarged by a raccoon seeking shelter and food. Before dwelling on this, have a read at our roofer section to understand why roof problems occur. 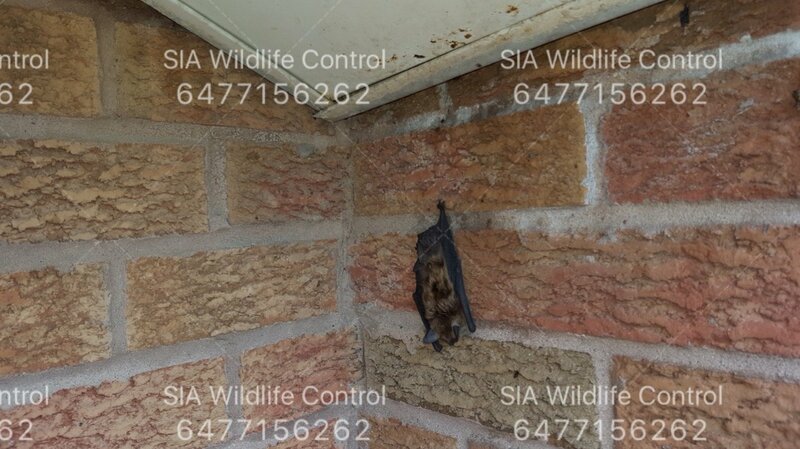 To begin with, when the roof ages opportunities rise for wildlife intrusion regardless of every vulnerable point mentioned in this blog. When you have a hole in the middle of your roof, it’s time to change the roof.. Not shingles, but the plywood and shingles when necessary. Roof-line falls in the same category as roof. Roofline entries are directly related to aging, rotting, shrinking or curving of the plywood. Any gap that exists between the fascia and plywood can be chewed, and mauled wider. Looking for these locations, you will be able to spot a raccoon hole / entry point. If your problem falls into the E) or F) category it’s time to redo the roof. At this point no amount of prevention will be worth doing until you deal with the source of the problem. Our technicians will inform you when it’s time to change your plywood. Prevention is the best defence against wildlife as long as you are not at the E) stage. We hope this information can help identify your problem and help you decide how to proceed. As always never block an animal inside the attic by attempting to close the hole yourself. 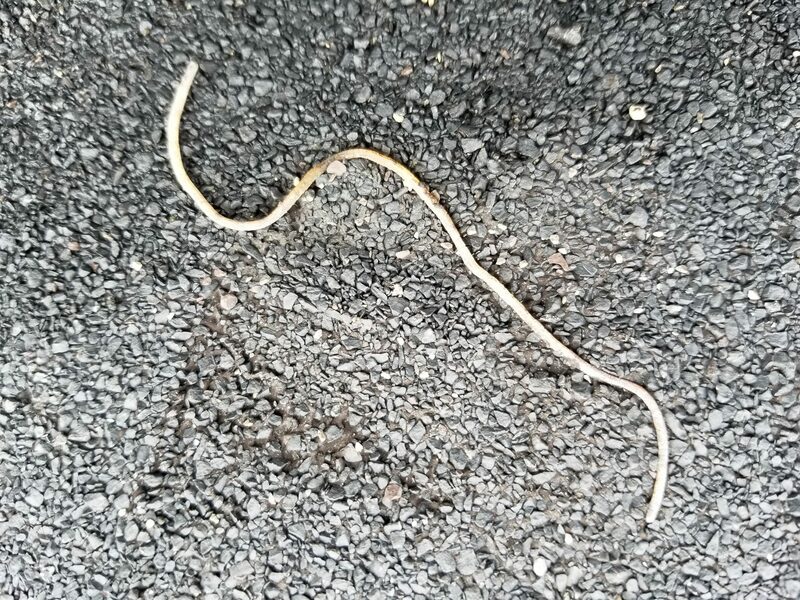 A lot can go wrong with what may seem like a simple wildlife removal DIY project.